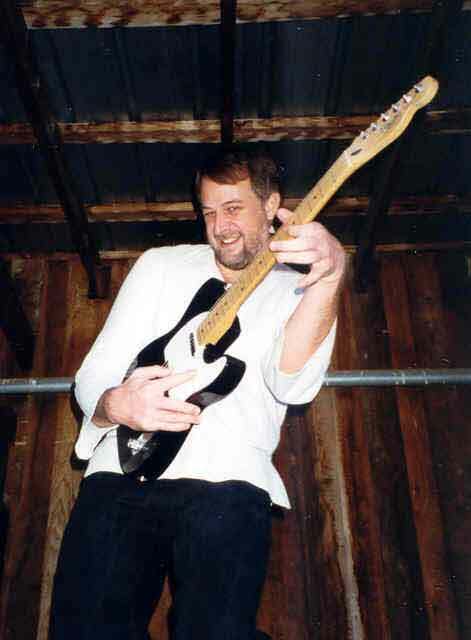 Credited as being “one of Cincinnati’s best known and most successful songwriters” (1), and as “one of Cincinnati’s most treasured singer/songwriters” (2), Roger Yeardley has crafted a unique organic fusion of American sounds from the country, blues, rock and jazz genres. This passionate singer/ songwriter is known for his “witty and penetrating” (3) lyrics. Roger’s first two CDs ‘Sheepless in Cincinnati’ and ‘Roger Yeardley’s Communal Effort’ received critical acclaim and worldwide airplay. ‘Sheepless..’ was chosen as an essential Cincinnati recording reflecting the blues-rock scene in Cincinnati (4). Roger’s songs have been on several volumes of the “Greatest Indie Artists in the World” international compilation CD series and several local compilations have included his music. His song ‘This Space Reserved’ was featured on the Music Choice cable TV channel. His songs have appeared in movies, including “Mr. ID”, starring Ami Dolenz (daughter of Monkee, Micky Dolenz). The song Rise & Fall of the Blues appeared in the major motion picture, The Texas Chainsaw Massacre: The Beginning. Roger has several music libraries representing his tunes. His songs have been on the airwaves in Europe, New Zealand, Australia, China, and Taiwan. Roger’s music has shared playlists around the world with Johnny Cash, B.B. King, The Dixie Chicks, Neil Diamond, the Eagles, Willie Nelson, Garth Brooks, and Dwight Yoakum just to name a few. Roger has performed at the Cincy Bluesfest, and on the same bills with artists like the Cowboy Junkies, Peter Frampton, and Little Charlie and the Nightcats. Based on extensive airplay in New Zealand, he was invited to play at an international festival there. He has performed live on the radio on WVXU, WNKU, and WAIF, and on TV (including City Nights (9 times)). You can find Roger performing in varied venues from coffee shops to festivals, from Cincinnati to Chicago to Hong Kong. He performs solo and in duos with award-winning guitarists such as Marcos Sastre, Jerry Hedge, and Steve Sigsbee. He has performed extensively with his band of veteran Cincinnati musicians, Roger Y & the Quick Replies. romoting his soon-to-be-released (fall 2013) CD, The Same But Different. 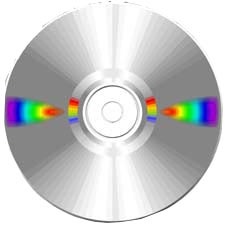 His 3rd CD, The Same But Different, was the logical next step in Roger’s atypical, in-reverse musical career. The 1st CD, ‘Sheepless..’, was a faux ‘tribute’ CD, with well-known Cincy groups interpreting Roger’s songs. The 2nd CD, ‘Communal Effort’, had Roger participating more with individual Cincy musicians in performing his compositions and singing a few tunes. By the 3rd CD, The Same But Different, Roger has assumed the role of lead singer, and also included his versions of off-the-beaten-path ‘cover’ tunes previously done by artists such as Wynn Stewart, Ben Vaughn, and Johnny Cash. Recorded in Cincinnati and Nashville, the CD features appearances by guitarist Bill Kirchen (of Commander Cody fame), and Nashville pickers Chris Casello and James LaRitz. WNKU-FM (Highland Hgts., KY), WAIF-FM (Cincinnati, OH), WVXU-FM (Cincinnati, OH), WOXY-FM (Oxford, OH), WLW-AM (Cincinnati, OH), WNOP-FM (Cincinnati, OH), WYSO-FM (Dayton, OH), WAQZ-FM (Cincinnati, OH), WCBE-FM (Columbus, OH), WAPS-FM (Akron, OH), WWCD-FM (Columbus, OH), WCSB-FM Cleveland, OH, WUEV (Bloomington, IN), WOUI-FM (Chicago, IL), WMUC-FM (College Park, MD), WRVU-FM (Nashville, TN), WMNF-FM (Tampa, FL), KUNM-FM (Albuquerque, NM), WNCW-FM (Spindale, NC), WGNU-FM (Boulder, CO), KKUP-FM ( San Jose, CA), KUSF-FM (San Francisco, CA), CIUT-FM (Toronto, Canada), CFRO-FM (Vancouver, Canada), CKST-AM (Vancouver, Canada), CJSF-FM (Burnaby, Canada), Radio Marabu (Europe), Texas Twister Radio (Europe), Radio Shanghai (China), Radio Enghein (France), Frequence Verte (France), Radio Viking (Sweden), Radio Pomme (Darnetal, France), RUN-FM (Belgium), PANX/Canal Sud (France),Roskilde Dampradio (Denmark), Countrygein (Netherlands), 2NUR (Newcastle, Australia), Forge FM (UK), Radio Eagle (Holland), C3 Stations (Denmark), Omroep Rijswijk (Netherlands), TLC Radio (New Zealand).